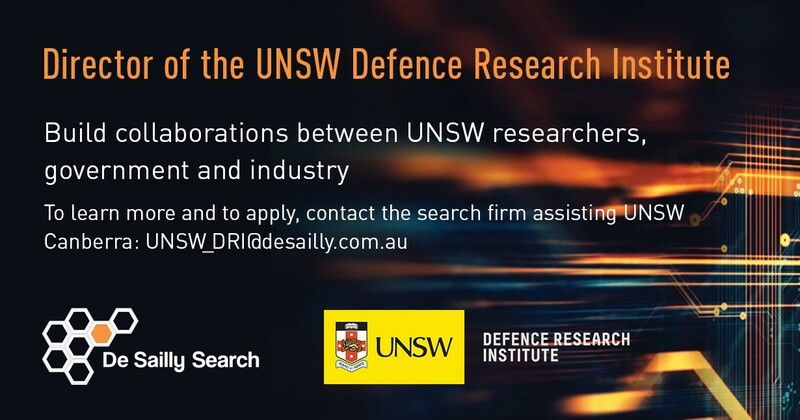 Through the UNSW Defence Research Institute, UNSW aspires to be known internationally for its broad based defence research, with domains of excellence based on specific cross-disciplinary applications such as space, cyber security, systems engineering, logistics, defence-related public-sector management, and conflict studies. The Director is responsible for translating this vision into reality. The inaugural Director will foster Defence research and associated postgraduate education across UNSW Canberra, increasing both the volume and quality of both. Develop strong linkages with researchers across UNSW, nationally and internationally. Strong communication, negotiation and listening skills, with demonstrated ability to liaise and communicate effectively with members of the community, professional and industry bodies. The names and contact details of three referees. The University reserves the right to fill the position by invitation, to make one or more appointments, or not to fill the position. It is not the intention of the description to limit the scope or accountabilities of the position but to highlight the most important aspects of the position. The aspects mentioned above may be altered in accordance with the changing requirements of the role. Applications will be considered from November until the position is filled.